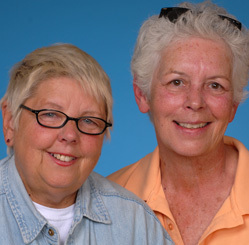 Pohl ( left ) and Petrovsky have been co-owners of The Closet bar on Broadway since the 1970s. The bar has opened its doors to benefits for a wide range of LGBT and AIDS causes. It is one of the few bars that is welcoming to all parts of the community, male, female and otherwise.